Dip in a small amount of ﬂour, shake, and fry until ﬂorets are slightly golden. Season with salt, pepper, and lemon juice and place in a serving dish. Pour Tahini and scallions over cauliﬂower and serve. 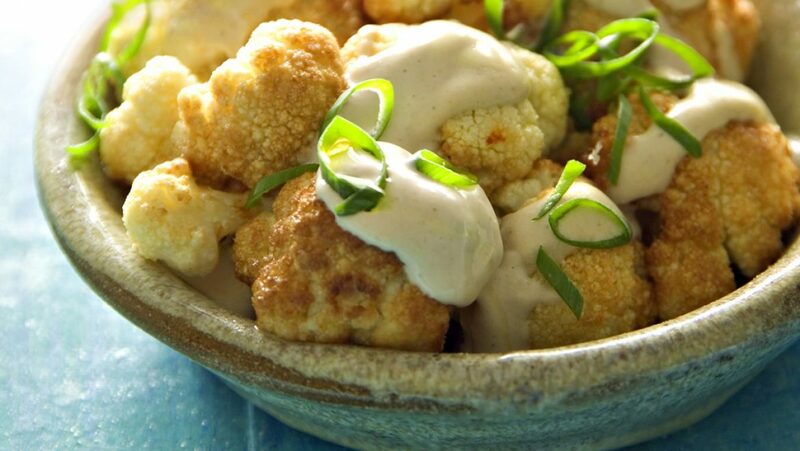 The cauliﬂower can also be mixed with the Tahini and kept in the refrigerator until serving. Serving recommendation: serve with 2 tablespoons of sliced scallions.